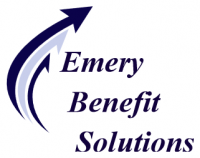 Emery Benefit Solutions specializes in the small to mid-size markeplace, providing a full range of Insurance Brokerage, Employee Benefits and Human Resource Services and Consulting . Our services are uniquely taylored to each client. We offer large agency expertise with boutique service. Emery Benefit Solutions is a certified woman owned and operated firm that combines years of experience with leading-edge products to provide exceptional service and value to our customers. Our goal is to achieve a long-term relationship focused on bringing value to you through your employee benefits and insurance programs and strengthening your human resource department. We are committed to utilizing our collective talent to support your employee benefit and human resource goals. We promise to identify activities that drive claim frequency and implement an action plan to control health care costs and promote a healthy work environment for your employees.